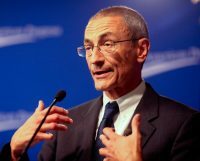 According to Edmund Kozak of Polizette, WikiLeaks emails reveal “Podesta attended ‘Spirit Cooking’ event that has been described as Satanic.” What exactly is Spirit Cooking? Brace yourself. “The origins of Spirit Cooking can be found in Cake of Light, a sacrament in the religion of Thelema which was founded by Aleister Crowley. The ingredients of the Cake of Light include honey, oil, menstrual blood and sperm.” (Source) To learn more about the world of the occult see Berean Research’s White Paper.